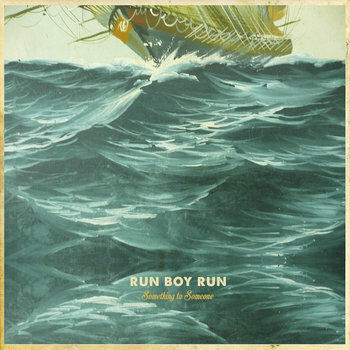 Recorded at historic Bear Creek Studios in Woodinville, Washington with producers Ryan Hadlock (The Lumineers, Johnny Flynn) and Jerry Streeter (Brandi Carlile, Elephant Revival), Something to Someone is the second studio album by Tucson-based Americana/Folk band Run Boy Run. Available October 28, 2014 on Sky Island Records. Recorded at Bear Creek Studios in Woodinville, WA in February 2014. What do you do when you love an older man? Do you give it all you’ve got when he tries to take your hand? Do you hold on to him close, or try to let him go? Momma, won’t you tell me what to do? When you think of him at night, is it right to want him near? When, for every night you’ve wanted he’s had a hundred more? And Momma, how did you know that it was right with Daddy? Did you ever doubt he’d be the only one to make you happy? What did you in to make you finally say ‘yes’? What made you want to wear that not-so-more white dress? Does it mean that you’re in love, and you’re bound to walk that line? Or can you learn to love another, forget the way you felt before? She said, “Boys meet me at the edge of town. I’ve broken hearts of suitors, but now I’ll settle down. Got a locket in her pocket with her lover’s picture inside. Only one left was young Thomas Brown! And he’s waiting to see who the lover is pictured inside. And Tommy’s face was staring all aglow. Not much money, but a beautiful life. “What am I?” said the sparrow to the creek as he crossed. “What am I?” Said the creek now to the rocks down below. And the ocean asks, “Who am I?” To the ship.